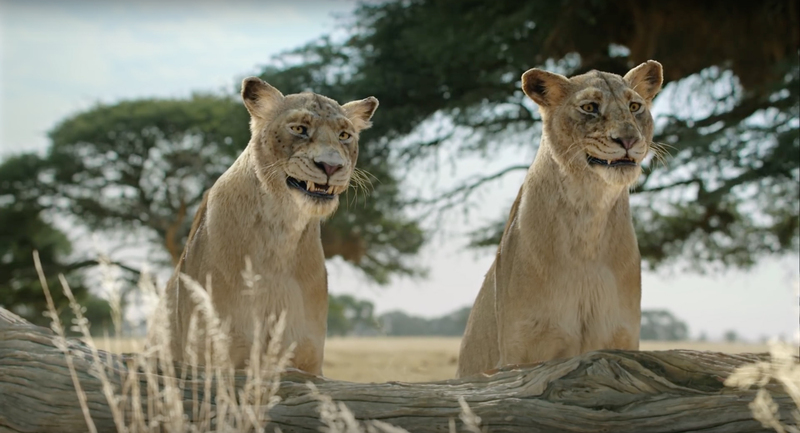 General Mills is promoting the Fiber One cereal and snack brand with “Don’t Fight Your Instincts”, an advertising campaign featuring apex predators, lions and sharks. Two lionesses try to fight their hunger instincts, resisting the urge to splurge on pink flamingos or a hippo. Steve, a male white shark, is reminded by a female to resist the urge to snack on dessert after a significant human-shaped lunch. The ads encourage to indulge in chocolatey brownies, tangy lemon bars and new creamy cheese cakes. The FiberOne Don’t Fight Your Instincts campaign was developed at Saatchi & Saatchi New York by VP executive producer Bruce Andreini, global creative directors Luca Lorenzini and Luca Pannese, creative director James Tucker, associate creative director Paul Spelman, senior copywriter Rees Steel, and director of content production John Doris. The FiberOne Don’t Fight Your Instincts spots were produced at Mill+ and The Mill New York by director Steve Beck, executive producer Zu Al-Kadiri, head of content Ian Bearce, line producer Nic Barnes, editors Jonathan Rippon and Leanne Belgiorno, VFX producer Rachael Trillo, production coordinator Katya Pavlova, 3D Lead Artist Andres Eguiguren, 3D artists Edward Shires, Alex Allain, Taylor Cook, Kevin Ives, Jeff Lopez, Ren Hsien-Hsu, Cedric Menard, Ian Bradley, Dave Barosin, Jimmy Gass, Will Burdett, 2D leads Corey Brown, Nathan Kane, 2D artist Alex Dreiblatt, colour producer Natalie Westerfield, colour coordinator Evan Bauer and colourist Fergus McCall.